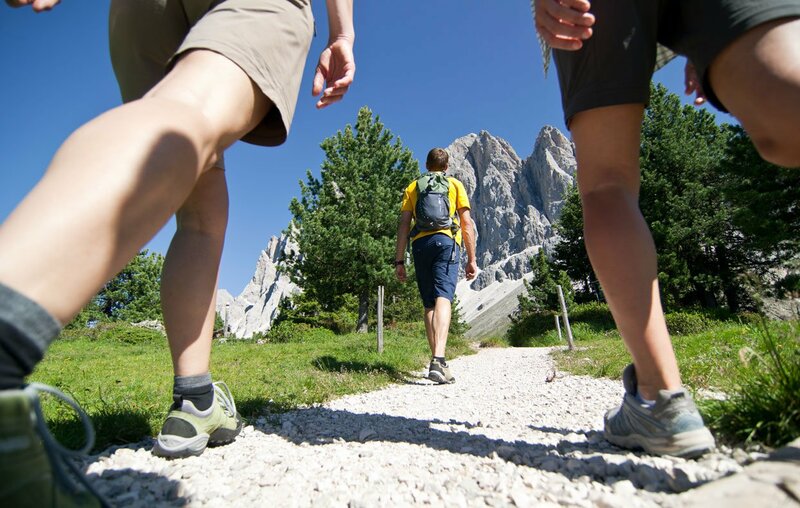 Thanks to the numerous hiking trails for every taste, you’ll get the chance to spot the most beautiful places in the Funes valley. On the three different adventure trails “Ores and crystals”, “The Peasantry: Preservers of the region” and “Regional products and their Creators” you can discover the stories of peasants and the mining tradition of the valley. 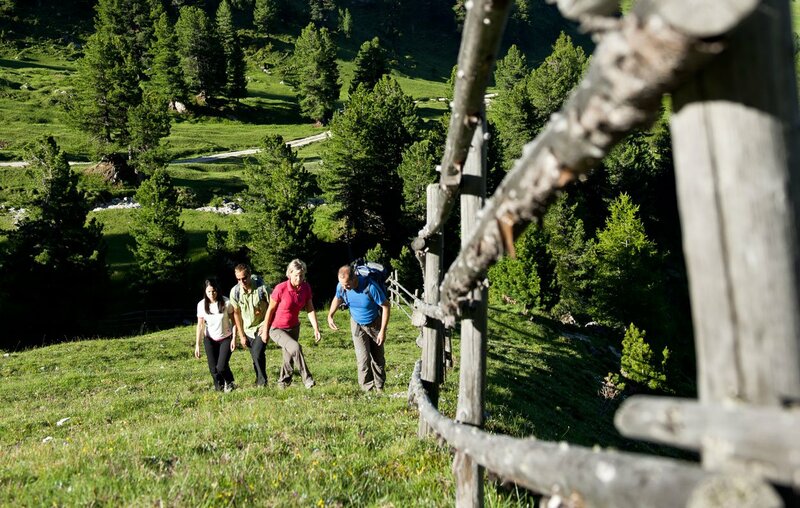 The Nature Experience trail at Zanser Alm is the first wheelchair accessible trail and it aims to bring visitors closer to the unique natural and cultural landscapes of the Nature Park Puez-Odle. 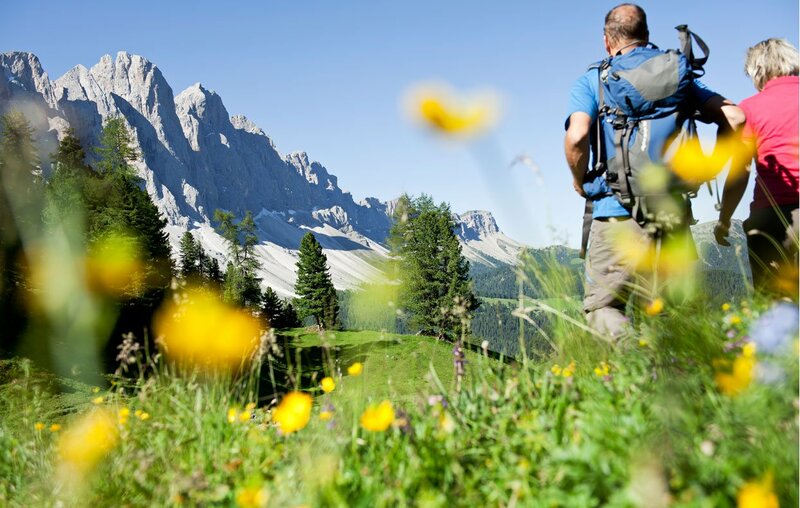 Discover the nature park Puez Odle on guided hikes with the Dolomiti Rangers, or take part in a night-hike, on which you’ll learn to perceive nature with all of you senses. The Funes valley’s high ropes course is another adventure for the whole family, where you can prove your courage and skills. 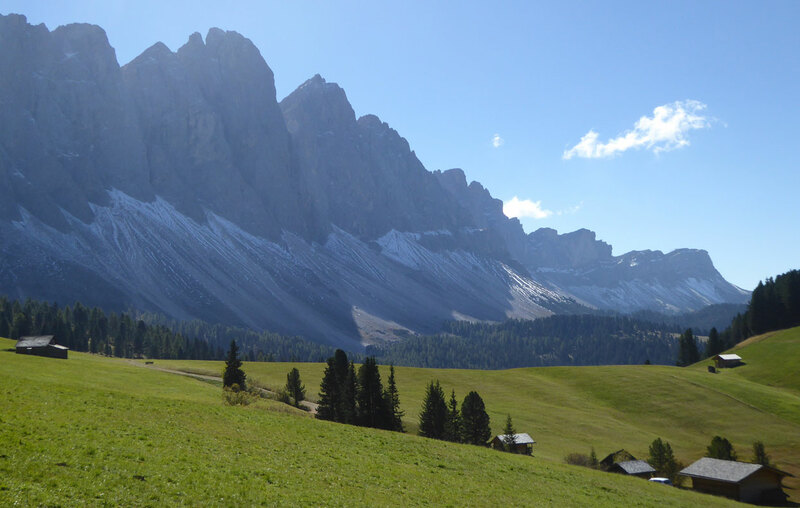 Furthermore, there’s a crag alongside the Adolf-Munkel-trail, where mountain guides instruct your children in the art of climbing. 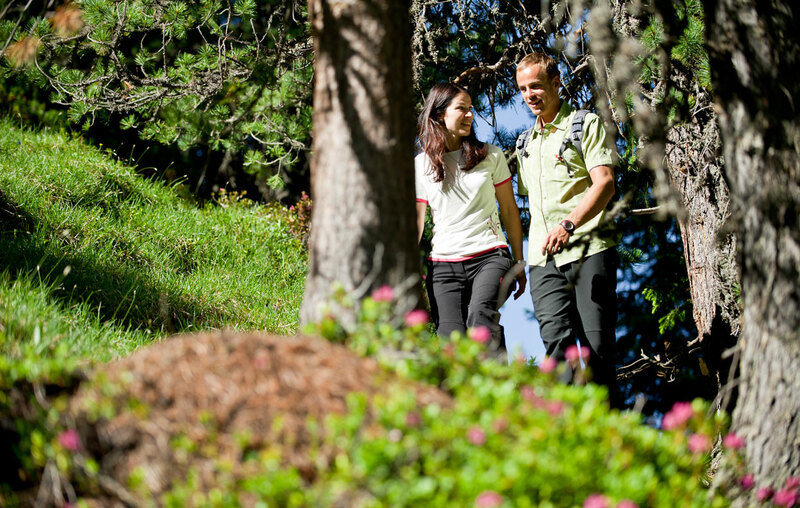 The diversity of activities and different offers will make your stay in Funes valley unforgettable. 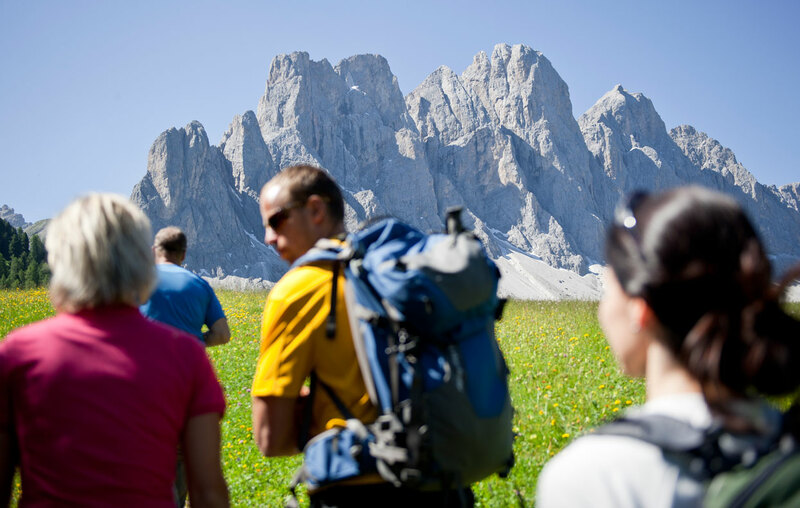 The Funes valley offers a huge number of adventurous places for climbers: the “Zanser Alm”-crag alongside the Adolf-Munkel-trail, 50 different routes on the north face of the Furchetta (difficulty 3 to 8a), as well as the “Würzjoch”-crag near the Peitlerkofel-group with more than 50 routes. 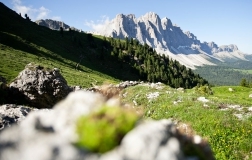 In case of bad weather, you won’t have to do without climbing: you can visit the climbing hall “Vertikale” in Brixen/Bressanone (25 km from Profanterhof residence) with climbing lines, routes and boulders for every ability. The fixed rope routes of the Dolomites are pure adventure: The Günther-Messner-route, Sass Rigais, Piz Duleda or Peitlerkofel – many different options for expert climbers. Another sport which is actively practised a lot in Funes valley is mountain-biking: rent a bicycle or mountain-bike and discover the different routes in the valley of trails. Once a week the bike-club organizes guided e-bike tours in the company of mountain bike-experts.